The carp record for French public water Lac du Der-Chantecoq was recently broken with a 34,8 kg common carp. Lac du Der is Europe's biggest artificial lake and well known for it's huge carp that have been caught there over the years. For years the Du Der record was at 32,8 kg, and just recently Frenchman Jean Michel Mordacq broke this old mirror record with a common of 34,8 kg (76lb 7oz). The French common carp fishing record still stands at 88lb, captured at Les Teillats in 2010. The world record carp, a mirror, is 99lb. 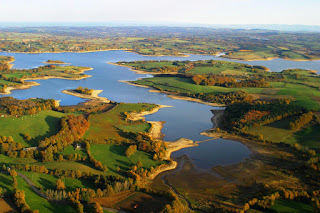 Check out more about Lac du Der right here.